Bosses may be great people (even though your friends only tend talk about their bosses when there’s something wrong). They lead teams, create strategies, they move the company forward with their engagement and leadership. However, because they’re used to make decisions, sometimes it isn’t easy to convince some bosses about new ideas. A shared inbox solution, for instance, can take a while to be understood for people who have used email for so long and never knew about other possibilities of it — including collaboration. So in order to make this work easier for you, we have gathered some important information about how to convince your boss. Some of them will be very useful for you. You may find other just dispensable — it all depends on your boss’s profile —, so let’s check it out! Your boss may be a busy person, so finding the best time to talk to him/her makes a big difference. When you truly need them to listen to you, make sure you get the timing right. Make sure you understand your boss’s mood before starting the conversation. Believe it or not, it changes the game for most people. Open your motives to your boss. Besides every advantage a shared inbox solution has, it’s time to show why it affects you personally. If you’re not happy with how productivity is being handled in your company, say so, and then you can explain how it can be changed. Besides that, an open feedback culture only makes work better, so even when you’re not trying to convince your boss of something, speak openly about what’s good, what’s average and what you think should be improved. You’ll see the difference after you do this for a while, so try your best to make it work. It will not only improve how people see you, but will also show your commitment to your company’s purpose. Think through the whole thing. Don’t go to your boss if you don’t know everything you need to answer him/her. By doing that, you’re showing how important this is to you, and also how much you value the productivity of your company. Also, keep in mind that the most important thing for your boss is to understand how it will impact your company for the best, then focus on the improvements shared inboxes bring. If you’re going by yourself, it may look like you have less credibility, so talk to your peers and present a shared inbox solution to them. 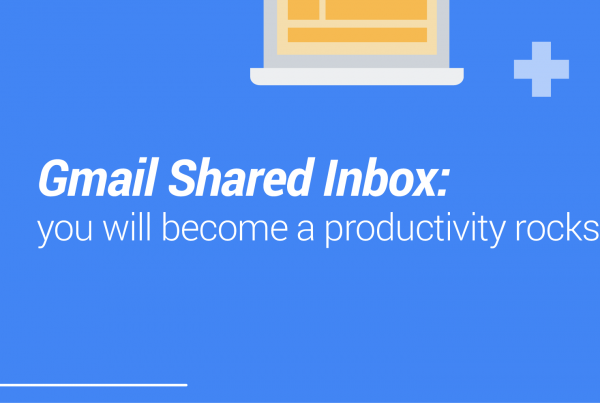 First, convince your peers to understand the importance of the shared inbox solution you chose. Once they start believing on how it would be beneficial for the company, you’ll gain strength to talk to your boss with more leverage. Quick tip: you don’t need everyone to go with you and present the idea, but take some time to gather the best feedback from everyone and use it as key points. There are many different softwares available. So it’s important to take a look at what’s on the market first, and then make a decision based in every aspect your company needs. Think about whether you need a solution that is simpler and easier to use. Or maybe one with more tools, but harder to use. It all makes a big difference after you start using, so don’t push too hard on a solution your team doesn’t need, otherwise no one will use it. Helps you get more done. An important aspect is to make a list of pros and cons about shared inboxes. Although it may seem like an improvement, some companies might have issues with it, which will make them incompatible. So make sure you know some disadvantages as well. It might be the pricing, it might be the time it will take to master the solution… but be assured that there are is an incredible amount of different tools out there. If you have an issue with one of them, probably another one has already solved it for you. 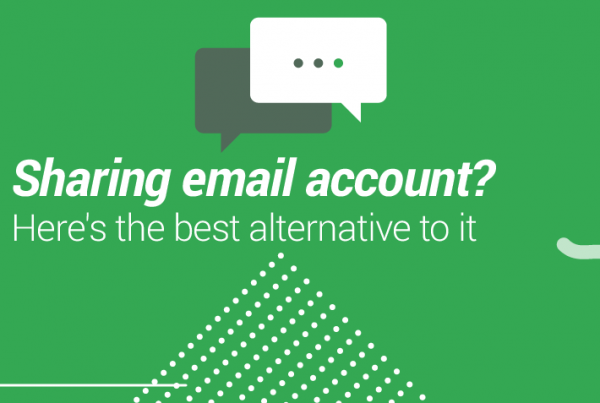 A shared inbox solution should be able to improve your team productivity, decrease the amount of internal emails and make your responses gain time. By thinking about these three aspects, you’re already one step ahead to convince your boss into it. But take some time to study your boss as well. People are unique and only when we understand them properly we’re more capable of convincing them. Shared Inbox with Google Groups: you are (probably) doing it wrong!